VERA, is a 52m (170ft), luxury motor yacht, built by Abeking & Rasmussen in 2000 and fully refitted in 2009. M/Y VERA‘s interiors, are pure luxury coupled with modern styling. Her main salon has a vast seated lounging area, ideal for movie nights and a lavish formal dining area. The combination of light fabrics and dark woods, gives her a glamour feel. Her exterior spaces are huge. The three decks provides diferent options to her guests., such as sunbathins, dining and socialising. On the upper deck, guests can relac in the salon, enjoy TV or DVD and/or “control” their apetit at al fresco dining. On the sky deck there is a jacuzzi and BBQ. 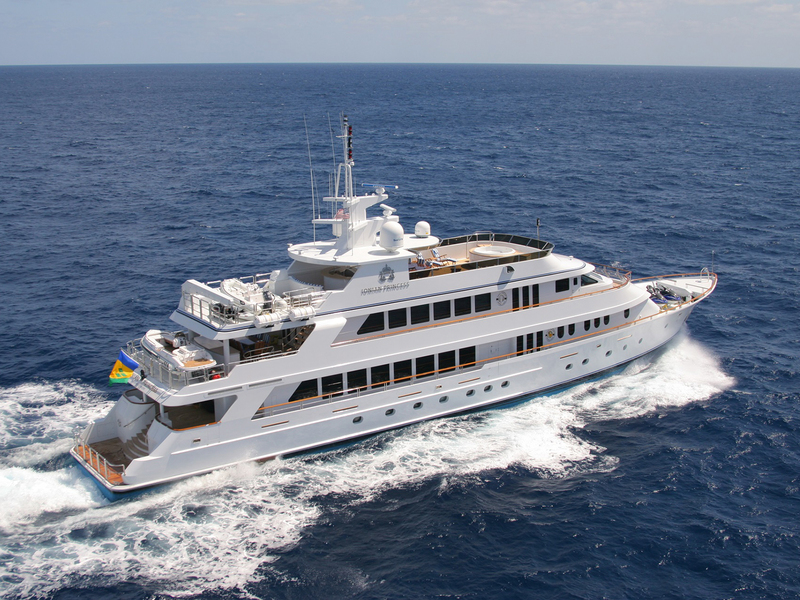 M/Y VERA accommodates 12 guests in 6 cabins, located on the lower deck of the yacht. Three cabins are forward and two, aft. A master cabin with king size bed, bathroom with jacuzzi & saouna and office. Two VIP cabins and three double cabins, that can be separated in twin beds. All cabins are with en suite facilities. Furthermore, on the lower deck is available for guests, a Gym room. M/Y VERA offer to her guests, a vast array of water toys for their entertainment. M/Y VERA is the ideal luxry charter yacht!